Because you’re not about to give up pizza. Even though pizza is the ultimate comfort food on a Friday night, it’s also messy and often the culprit behind life’s worst grease stains. 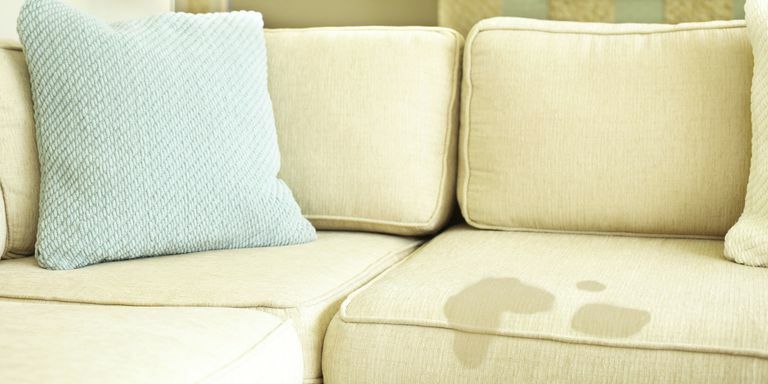 If you need to get grease out of clothes, couch cushions or, any other beloved item, use this advice from Carolyn Forte, director of the Good Housekeeping Institute Cleaning Lab. Scrape off excess grease. Sprinkle baking soda, corn starch, or other absorbent on the stain. Let it stand 10 to 15 minutes, then vacuum. Using a clean white cloth, sponge the stain with a dry-cleaning solvent. Blot until the solvent is absorbed. Repeat until the stain disappears. Use the same method as you would for upholstery. If the stain remains, mix one tablespoon of liquid hand dishwashing detergent and one tablespoon of white vinegar with two cups of warm water. Sponge the stain with this solution. Blot until the liquid is absorbed. Sponge with cold water and blot dry to remove the detergent/vinegar solution.